The 4-TPSTL-1 series touch panels are contact sensitive devices designed to activate when a subject touches it. This is a conductive form of the touch sensor. It was engineered to be used in conjunction with the D.A.R.I.S. (5-RLD-D1) Reward controller as a remote sensor in both local and remote (PC controlled) applications. The 4-TPSTL-4 touch panel can also be used as a Standalone unit with the 5-RLD-E1 control unit or with a Digital Input / Output module in a PC. For standalone use you will need to connect the external power supply. Uses existing chair mounted Touch bar. (Existing chairs may be retro-fitted, request quote). Used with the D1-V2 Reward Controller as a remote sensor in both local and remote modes. Device power is supplied by the D1. 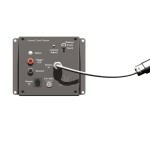 Used in a standalone (local only) mode with our E1 control unit. (Requires external power supply, included). Used as an input to a Digital Input/output (DIO) module in a PC, thus supporting Labview, Rex, etc). (Requires external power supply, included). Lockout Time Adjust (0 to 240 sec). Prevents continuous reward requests. Trip Level Adjust. Sets sensor trip point (Sensitivity) to compensate for Subject’s body resistance. 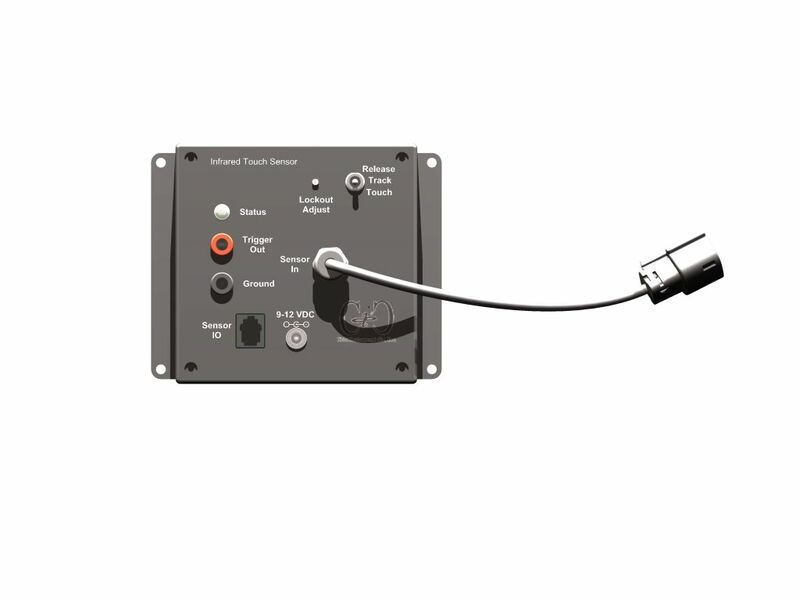 The 4-TPSIR-1 series touch panels are contact sensitive devices designed to activate when a subject touches it or reflects the IR beam back to the sensor. This is a non-conductive form of the touch sensor. It was engineered to be used in conjunction with the D.A.R.I.S. (5-RLD-D1) Reward controller as a remote sensor in both local and remote (PC controlled) applications. The 4-TPSIR-4 touch panels can also be used as a Standalone unit with the 5-RLD-E1 control unit or with a Digital Input / Output module in a PC. For standalone use you will need to connect the external power supply. Easy to install on most primate restraint chairs or rodent mazes. Remote Pressure Sensitive Bulb mounts directly in chair. (Existing chairs may be retro-fitted, request quote). MRI Touch Sensor A non-conduction, Non-Metallic form of touch sensor.